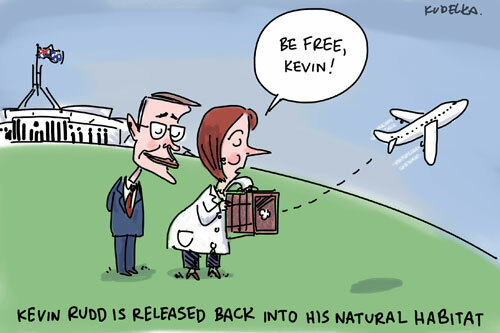 …and on the 81st day, Julia did visit Kevin’s tomb to anoint His body as Foreign Minister and Lo! the stone was already rolled back, and Kevin was packed and ready to go to the airport. 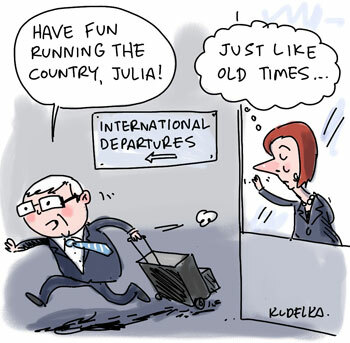 Posted in political cartoons, The Mercury, The Australian.